Custom Inspirations » 6 in. round ‘Jeans’ tile trivet – $25. 6 in. 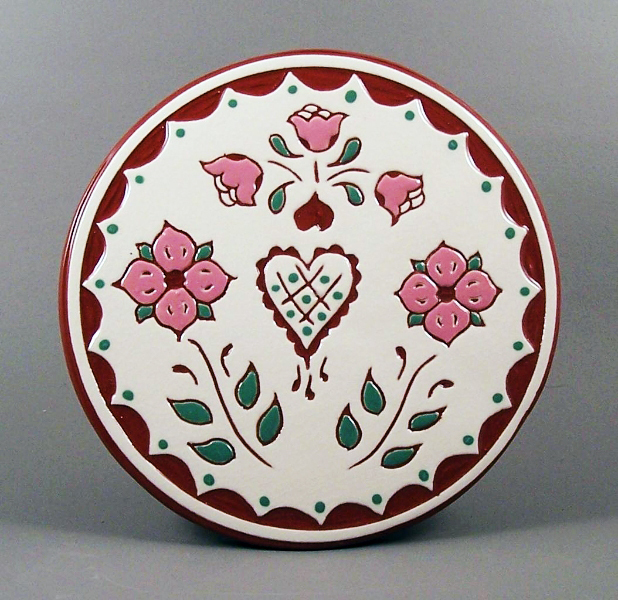 round ‘Jeans’ Pennsylvania Dutch tile trivet – $25.